"In the early days, the Blackbird Vineyard quietly provided fruit to many of Napa's finest winemakers." 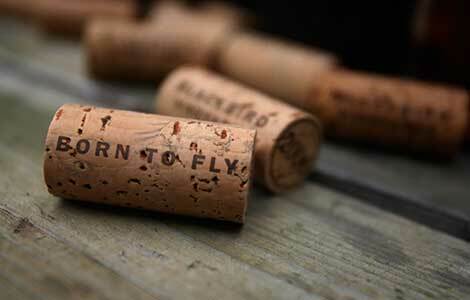 "Terroir-Driven Wines since the premier release with our 2003 vintage, Blackbird Vineyards'." Since the premier release of our 2003 vintage, Blackbird Vineyards' winemaking team has handcrafted truly expressive wines with a focus on the varieties of Merlot, Cabernet Franc, and Cabernet Sauvignon. By utilizing the natural advantage of a 10-acre estate vineyard which produces exceptional Merlot in the Oak Knoll District-along with meticulously sourcing fruit of comparable quality-our portfolio reflects artisanal, terroir-driven wines of pedigree with each vintage. With the designation of Napa's fourteenth AVA in 2004, the Oak Knoll District is well poised to bring forth the prominence and elegance of Napa Valley Merlot-with an inspiration from the Right Bank. The Merlot based wines of the Right Bank have historically challenged the first growths of Bordeaux, a forbearer to Oak Knoll's future. Similar to the Right Bank region of Bordeaux, the Oak Knoll District is akin in its soil composition, microclimate, and rural qualities. Our affinity for Merlot (and other Bordeaux varietals) is reflected in each wonderfully aromatic, rich, and polished vintage. "Blackbird Vineyards' approach to winemaking involves intensive, hands-on, 'best practice' techniques to achieve the highest representation of terroir in our age worthy wines." 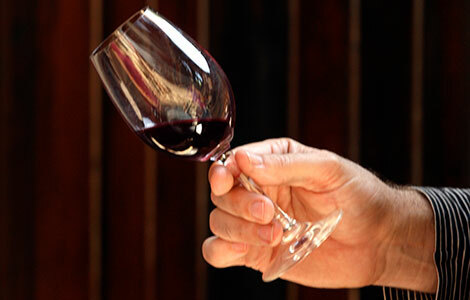 These combined efforts serve to achieve wines of great complexity, richness of fruit, and overall distinction. Premium vineyard management - Renteria Vineyard Management combines practical and generational field knowledge with innovative trials and experimentation to grow the finest grapes possible at Blackbird Vineyards through precision agriculture. Precision agriculture - we believe in "doing the right thing, in the right place, at the right time" through specific farming methods that optimize the health of the Blackbird vineyard, including limiting grape yields and increasing quality, while also minimizing environmental impacts. 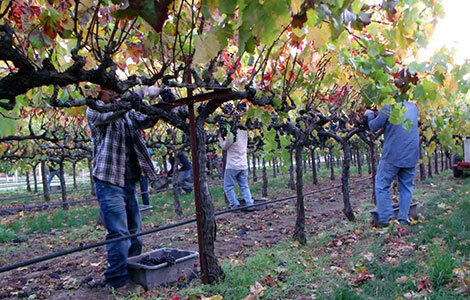 Sustainable farming - Blackbird Vineyards rarely uses commercial pesticides, herbicides or artificial fertilizers. Additionally, organic materials from farming and harvest are readily put back into the soils as compost. The vineyard has a permanent cover crop of native grasses, flowers and legumes planted as ground cover between the rows of vines; they are never ploughed under, only mowed. These efforts serve to create a more balanced wildlife and habitat for our workers, neighbors, and even the winery dog-a French bulldog named Oliver. Rigorous grape selection - in some cases, Blackbird Vineyards winemaking team will double or triple sort our fruit (examined for health) to guarantee the best possible grape selection from each lot before winemaking begins. Indigenous yeasts - this means Blackbird wines are made with less interventionist techniques since the vineyard's native yeast starts the fermentation process naturally. Cépage or blending - with their sophisticated and highly-trained palates, the Blackbird winemaking team nurtures each lot to produce the most exceptional blends from each vintage. By selecting two or more different parcels of wine after sample trials, our winemaking team blends them together to produce a consistent finished wine highlighting each unique varietal component. Barrel regime - the use of French oak plays a significant role in Blackbird's wines and has a profound effect on the flavor, tannin profile, and the texture of our wines. Blackbird uses 100% French oak barrels made from fine cooperages for a more subtle flavor profile than American oak. The place of origin, how the staves were cut and dried, and degree of "toast" applied are all considered when selecting a barrel for Blackbird. We utilize different toasting levels for each cooper, for example, Bossuet is a medium, Taransaud is a heavy minus, and Seguin-Moreau is a medium plus. This attention to detail promotes complete harmony between wood and fruit flavors with each new vintage. Blackbird's barrels are seasoned to our specifications for density, suppleness of tannins, flavor, and ageability. Our wines are 100% French oak aged with approximately 70% new and 30% seasoned barrels for at least 20 months. "Blackbird Vineyards partners with the most renowned cooperage houses from which the barrels are personally selected to meet our exacting requirements." During the aging process in these customized barrels, our wines acquire their full character and complexity. Bossuet - crafts artisan handmade barrels of exceptional quality and in small quantities sourced exclusively from haute futaie French forests. Jean-Louis Bossuet-once the house cooper for Chateau Petrus-is renowned for his incredible ability to select the tightest grain wood of the finest quality. Taught the craft of coopering by master cooper Pierre Darnajou, Bossuet's work is unparalleled in his art. While working in France, Aaron Pott, Blackbird's winemaker, became the first customer of Bossuet's barrels and now demands "droits de seigeur" on all of Mr. Bossuet's best wood. Saury - a small, 4th generation family-owned business, Saury purchases the best batches of wood from the best stave producers. Every detail of wood purchasing and manufacturing is controlled by owner Marc Saury. Taransaud - patience, rigor and respect help create Taransaud's cooperage approach of the "perfect exchange." In order to achieve the suppleness of structure imparted by the barrels, Taransaud uses extremely rigorous methods at every stage of the barrel making process. 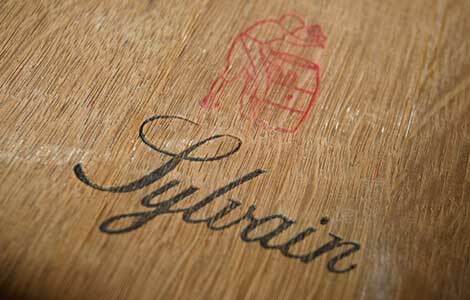 Sylvain - located in Pomerol, Jean-Luc Sylvain transformed his father's barrel maintenance business into a fine cooperage in the 1980s. The cooperage has dedicated itself to making barrels that marry perfectly with the great Chateaux of the Right Bank. Seguin-Moreau - considered a category leader; this company makes one of the top barrels, the "Icone," and under the direction of Pascal Chatonet, they have become a pioneer in oenological and qualitative research. Careful oak selection by their team and cutting edge technology comes together in determining the finesse of the barrels.